Monotoma is in the monogeneric tribe Monotomini Laporte 1840, within the subfamily Monotominae Laporte 1840. Affinities to other monotomid genera are not well understood. There are three subgenera: Monotoma for the majority of species, Monotomina for two European species (one of which has been introduced in numerous localities around the world, including North America), and Gyrocecis for three species known to be associated with ants in the Formica rufa species group (Bousquet & Laplante 1999). 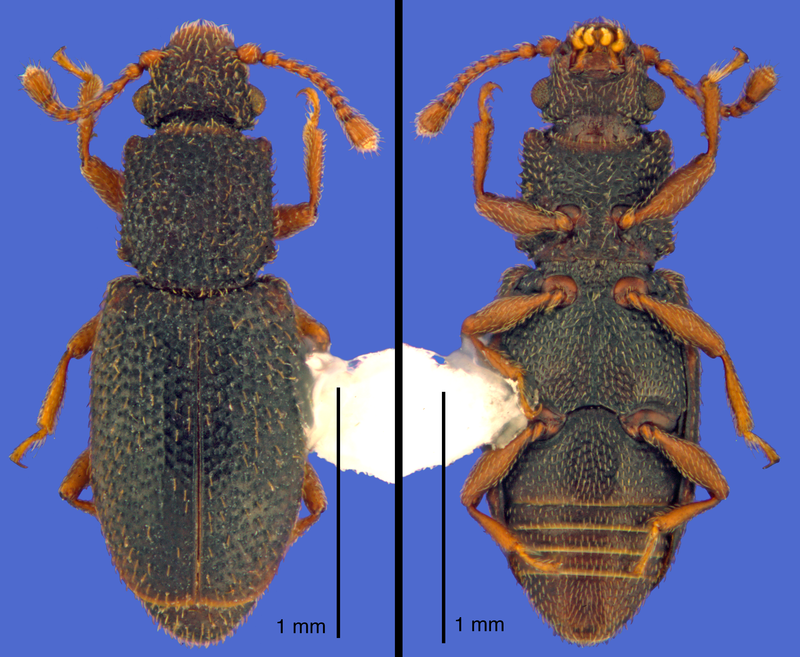 The only New World species of the latter subgenus is Monotoma myrmecophila. The type species is the now cosmopolitan Monotoma picipes. Monotoma can be easily distinguished from other New World genera by the coarse subcontiguous punctures on the head dorsally and on the pronotum (except in Monotoma longicollis), and by the protruding anterior angles of the pronotum. Most are covered in moderately dense setae, which can become almost scale-like in some species. Species are known to be native to Europe, Asia, India, North Africa, Madagascar, North America, and Central America. Several (e.g. M. johnsoni, M. longicollis, M. picipes, and M. spinicollis), have been introduced around the world. The genus has become cosmopolitan, expanding its range to include Australia and New Zealand (where native species are not known).